Theme Thursdays is a fun weekly event that will be open from one Thursday to the next. Anyone can participate in it. I am breaking the rules today, (I know - you are all surprised by that). I am still sick from the infusion so I hope I will be forgiven. It is just too difficult to search through the two print books I am reading to find the theme match tonight. So I am going to take two selections from books I have finished. One from the book giveaway I am hosting and the other from the book I just reviewed, (there is a fascinating interview with the author too). I hope you enjoy them! After a few minutes, he found a nice, shady spot under the willow tree behind the house. He started digging. It wasn't until this point in his life he understood just how difficult digging a large, deep hole really was. He continued digging for hours until it looked suitable for Trudy to be laid to rest. Kittrell, Brian. 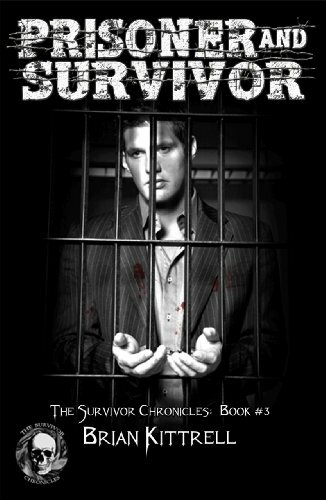 Prisoner and Survivor (a zombie apocalypse novel) (The Survivor Chronicles) (Kindle Locations 640-644). Late Nite Books. The man stood at the edge of the woods just like he belonged there, like a brown tin photo from time gone by. This photo was taken by me and belongs to me. It is not associated with the book or the author. I just thought it look almost like the scene. I hope you enjoyed my picks. 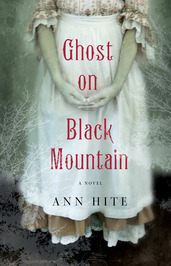 Please enter The Survival Chronicles giveaway and be sure to read the riveting interview from Ghost on Black Mountain author Ann Hite. Please leave me a comment so I can find yours! Great excerpt and photos. And I guess I regularly break the rules, since I usually grab a book that I'll be reading the next week! That photo accompanies the scene very well. Sounds like a great book. Love the picture you shared. Have a great day! Hi everyone. Thanks for stopping by. I will have a surprise with Ghost on Black Mountain. I will announce it on September 1st so be sure to check back! Off to check all of yours! Have just read your review and the interview for Ghost on Black Mountain and it sounds fantastic. Love your photo - a perfect image for your snippet. Great choices of both books. Great choices and loved how you pulled out an apt picture that was taken by you. I really liked the idea, maybe we should do one week with matching pictures.. that would be fun. Both snippets are great but I prefer the first one. I wonder how Trudy died... It seems she was very important to him.